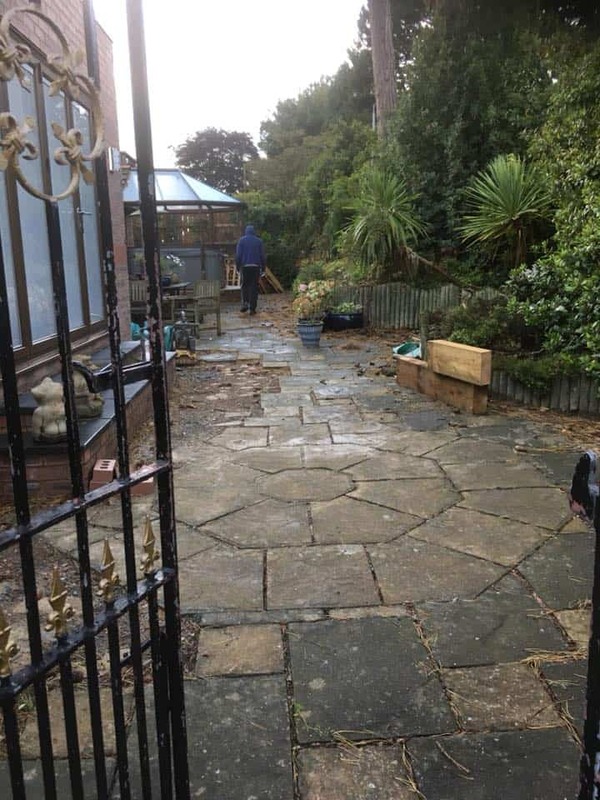 This one example illustrates how you can transform your back garden into a mini paradise with a imprinted concrete patio. This project was completed in late 2017. The transformed garden with the ‘Grand Ashlar’ design imprinted concrete. Looking very smart! 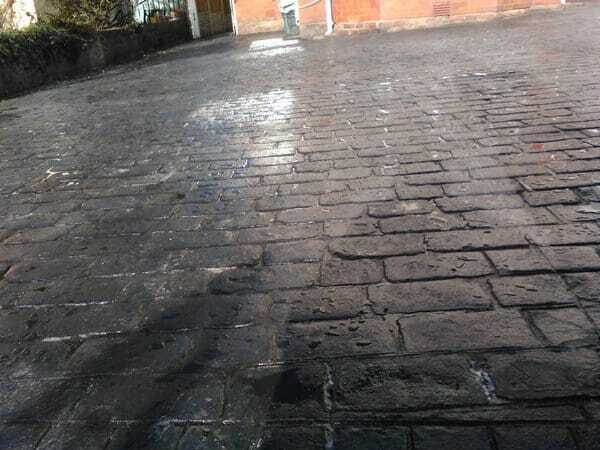 Contact us today for your no obligation quote from CretePave of North Wales! We installed a new driveway, some four years ago, for Captain Tudor. He asked us back to install a new imprinted concrete driveway at his boyhood home, which over looks the Port of Holyhead. This is a useful article from the Concrete Advice website. 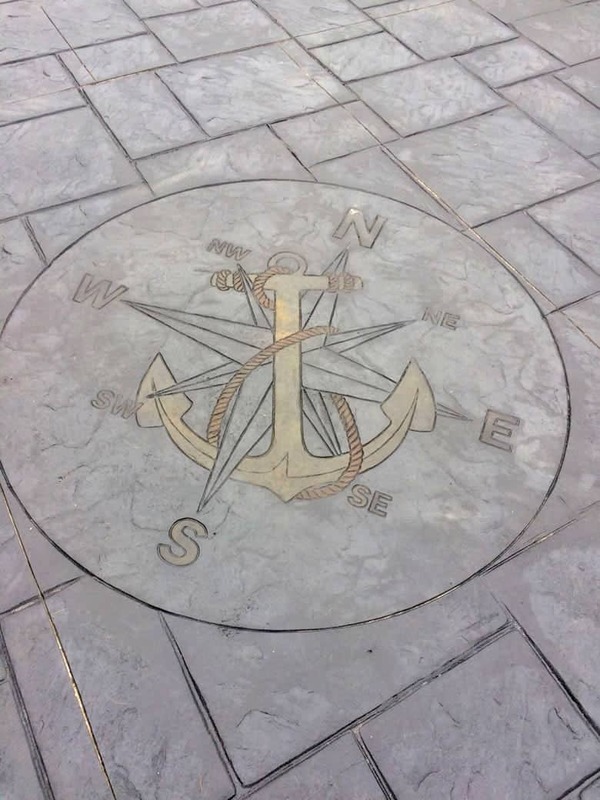 The blog post is a few years old, but it provides some useful information about pattern imprinted concrete as a solution for your driveway. 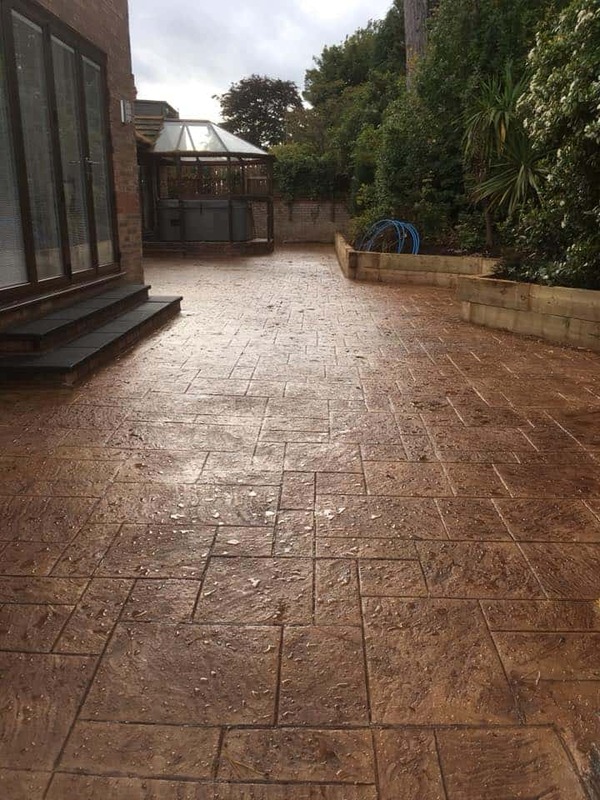 It highlights the pros of having imprinted concrete rather than the alternative block paving and finishes with a fair conclusion taking everything into consideration. Here is a photo of one of our imprinted concrete driveways. Pattern imprinted concrete is not used solely for driveways and patios – there are other areas that imprinted concrete is useful. Our project in 2013 at SeaQuarium at Rhyl shows how versatile imprinted concrete is in a public outdoor tiered seating area. Click for photos. Our new website has arrived! It is now much easier to read and navigate our website from either mobile, tablet or desktop computer. We can now keep you up to date with news from CretePave from our blog and also our Facebook page. 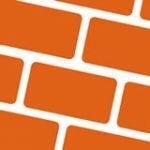 CRETE PAVE welcomes comments but, in order to leave feedback on our website you will need to be a registered user and log in each time you wish to comment on an article. If you register with CRETE PAVE, it must be understood that this action constitutes to an agreement and consent for us to hold your data in our database for the whole time you are a registered user with us. Once registered with CRETE PAVE, you will be able to check and edit the data held on the system at any time. You will also be able to delete your user account at any time. Note that termination of your user account will automatically remove all the comments you will have made on this website.